Integrating new summer camp management software, at first, seems like an overwhelming task. Change isn’t easy. And that’s especially true in the summer camp industry, where many businesses use the same work processes year after year. The good news? Web-based tools have streamlined the roll-out process. It’s now more affordable, less technologically demanding, and faster to implement empowering tools. In the past, you might have needed a dedicated IT staff to integrate new products. Not to mention, upgraded hardware to increase your camp’s computing power. That has changed. The cloud has made it possible to utilize camp management tools much more efficiently, without costly investments in hardware or needing to bring on IT consultants. Plus, the ROI of implementing online camp management is very compelling. A suite designed for your needs can help you work smarter, faster and empower you and your staff to grow. Yet, still, the thought of rolling out a new technology can be scary. But it doesn’t have to be. In fact, when you look past the most common myths, you’ll see that camp management software can have a positive impact on your business. Myth #1: My Camp Is Tech-Free; I’d Be Setting A Bad Example! More and more camps are asking campers to unplug and go tech-free for the summer. That’s awesome! Campers should have an opportunity to experience nature and face-to-face connections free from tech distractions. If your camp is tech-free, though, you probably have concerns about making technology an integral part of your business. How can you ask campers to unplug, if the staff is constantly tapping away at screens? Here’s the truth: Online camp management tools don’t require around-the-clock attention. You can think of it like this: A camp management platform is like a digital filing cabinet and scheduling system. You won’t be consulting it every second. But it’s there when you need it – in emergency situations, to clear up confusion, to avoid wasting time digging up information. New technology isn’t just for the largest, most well-funded summer camps. That may have been true in the past – when you had to purchase software, upgrade your IT infrastructure, and get the help of an IT professional. But thanks to web-based applications, that’s no longer the reality. The cost of implementing new technology has been driven down significantly. Avoiding Capital Expenditures: As mentioned, web-based applications eliminate the need for capital expenditures. You can use your existing infrastructure. Eliminate Maintenance Costs: In the past, you had to pay a yearly fee to receive the latest version of your software. With web-based applications, updates are integrated into pricing and provided automatically. You’ll always be running the latest version. Reduced IT Costs: Updates, backups, and maintenance are provided by the software company and delivered via the web. You can avoid calling an IT pro for a costly on-site visit. Plus, when you calculate the cost of implementation, be sure to estimate the ROI. What will the best camp management software help your business do? Saved time, increased enrollments, and minimizing IT expenditures can all make the case for implementation more compelling. Myth 3: Can’t I Just Use My Existing CRM? You’re thinking, “I already have a customer relationship management tool. What reason would I have to switch applications now?” That’s a reasonable concern. If something’s working, why would you want to replace it? Here’s the reality though: An underutilized CRM could be costing you. In fact, research has shown that when a CRM is fully utilized it can result in a 30% lift in sales. The problem: Most CRMs don’t account for the unique summer camp business model. Instead, a lot of tools are designed for sales managers and B2B marketers. Camps need a CRM that’s rooted in creating lasting relationships with campers and families, a CRM that’s built for the especially seasonal nature of the business. Choosing a CRM designed for summer camps offers the advantage of being more closely aligned with your sales, registration and enrollment needs. Plus, when you use a standalone CRM, your customer database doesn’t integrate with the rest of your business. The data is compartmentalized, even though those customer records can inform your day-to-day camp activities. CRM and a camp management app make the perfect pair. You can create comprehensive records for your campers that are applicable during camp, as well as when building your marketing campaigns. That’s the biggest benefit: Your organization will have a single data source, rather than having to cross-reference multiple databases to answer questions. Your camp has a database spanning a decade, and thousands of customer records. The thought of migrating all that data to new software makes your head spin. You’d have to hire a data entry team just to get it done, you think. Today, though, modern software management tools have you covered. They’re designed to facilitate seamless migration of data from a variety of sources and file types. In fact, the process is often much more simple than you might imagine. True, a bit of technical expertise might be required to ensure the process goes smoothly. But that’s where choosing the right vendor comes in. Excellent Documentation: Fancy yourself a DIYer? In-depth guides, how-tos, and tutorials can be powerful tools to help you implement your own migration, as well as learn about the complete capabilities of the platform. Be sure your tech partner has a great resource library. Data Migration Support: Great vendors understand that migration projects are complex. Choose a vendor that can help evaluate your existing data, determine the difficulty of a migration project and offer support when needed. On-Call 24/7 Support: You need access to an expert when it’s convenient for you. Choose vendors that ensure accessible, friendly and helpful customer support. In emergency situations, online camper health records can provide critical information to staff fast. But most camp directors have concerns about creating digital records. Will the health records be private? What type of security is utilized? The privacy of your campers matters and the best camp health record providers understand how important data security is to your organization. When choosing vendors, be sure to ask about security. The best use a range of innovative technologies – from firewalls to encryption – to ensure your camp’s data stays secure. You’d never want to spend the resources to roll-out a camp management platform that’s not the right fit. Really, there’s no one-size-fits-all approach in camp technology. Day camps have many different needs than overnight camps, for instance. Fortunately, the best camp software platforms allow for complete personalization. The types of data you collect, the way that data is shared with staff, and the way data is stored can all be adapted to your organization. So be sure to ask about customization when researching camp software providers. Technology roll-outs work best when you have the buy-in of your staff. Yet, staffers get frustrated when they don’t understand how to use new technologies. As such, many camp directors are rightfully concerned that training staff will be a time-consuming, costly process. Great Usability: Is the software built with the end-user in mind? That’s the problem with non-camp CRMs and applications. They often don’t include the capabilities that summer camps need in an online tool. To ensure you like the product, be sure to request a demo. Free, Available Online Training: You don’t have time to waste when your staff gets on-site. The best tech partners know how quickly you have to get staff up to speed at the start of summer. They offer specially designed training programs that are fast and easy to implement. An Active Community: Does another camp in the area use the software? If so, be sure to ask what they think. Great technology inspires people. In other words, if people love it, there’s probably a community out there willing to lend a hand and share advice. A lack of Wi-Fi doesn’t mean you have to be in the dark. In fact, most camp management applications are designed for mobility – both when you have coverage, and when you don’t. When you have Wi-Fi, you can connect from any device by logging in on a desktop or mobile device. That means you can work just about anywhere. Plus, most web-based tools offer online tools like downloadable reports, to ensure staff and camp administrators have access to a data even when coverage isn’t available. The power of a single database for all your camp information can be powerful. But it can also be scary: Won’t anyone with a password be able to access the information? The short answer is no. Camp management platforms offer administrators complete control of the database. It’s like a large warehouse; you provide keys to different areas of the warehouse to the appropriate staff. By setting permissions, you can ensure your health team has access to camper health records, your kitchen staff has access to food allergy reports, and your transport team can see schedules. You might already have an online camp registration provider. Or a camp-focused CRM. But you’re still looking for pieces to help with fundraising, transaction processing, or event management. You don’t want to invest in an entire suite of tools, especially if you’ll only be utilizing one or two. The good news is you don’t have to. The majority are designed to allow camps to pay for only what they use; whether that’s the camp management piece, or the fundraising piece. You won’t be roped into paying for an entire suite, even if you might only use a small part of it. You’re not alone in being skeptical of rolling out a new technology platform. Change can be scary for your organization, especially in the summer camp industry, which moves lightning-fast from January to August. Fortunately, many common concerns are rooted more in fiction than they are in fact. And these concerns might be hiding the real value of an integrated camp management software: Time savings, cost savings, improved safety, increased enrollments and improved cash flows, to name a few. To help you manage your concerns and ensure a smooth rollout, it’s important to choose a provider who understands your needs. Not all camp software developers are focused on helping you. So as you research options, be tuned in to what you’re hearing. Is customer service responsive and friendly? Does the sales team want to learn about your goals? 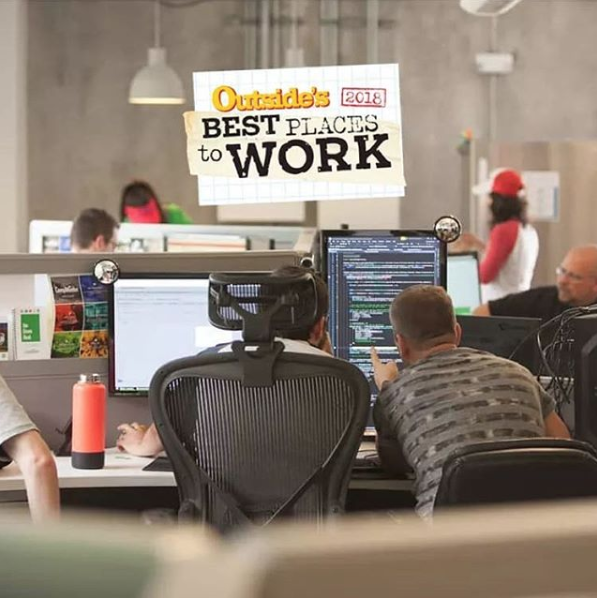 Does the company have a camp background? Once you find a technology partner who wants to help you grow, your organization will be on the road to faster, smarter workflows.